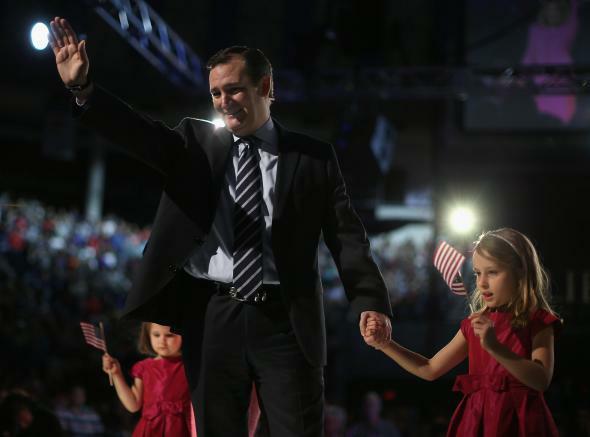 Washington Post pulls “Ted Cruz uses his kids as political props” cartoon. U.S. Sen. Ted Cruz (R-TX) (C) stands with his daughters Caroline Cruz (R) and Catherine Cruz (L), after to speaking at Liberty University. Cruz was understandably not happy with the cartoon.